Android 5.0 Lollipop is the most sweetest version in the Android history, which comes with a brand-new materialistic interface and a lot of amazing features. Indeed, Android 5.0 Lollipop is a whole new adventure, but sometimes playing with new settings really make a mess like when anyone turn “ON” the “Invert Colors” or “Hotspot” then their toggles are added to the Status Bar Quick Settings. As we know that Quick Settings gives faster access to various useful settings without navigating inside, but it’s really annoying when any unnecessary toggle append goes up there. So, here, we are going to show you the trick to remove toggles from Quick Settings on Android 5.0 Lollipop. It will remove all the extra toggles from the Quick Settings such as “Invert Colors”, “Hotspot”, or any other if present. It will work on any Nexus smartphone, including Nexus 4, 5, 6, 7, 9 and 10. So, let’s go through the trick to remove toggles from Quick Settings on Android 5.0 Lollipop. 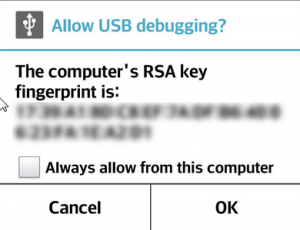 “USB Debugging” setting must be enabled on your smartphone. “ADB and Fastboot” Drivers must be installed on your Computer. 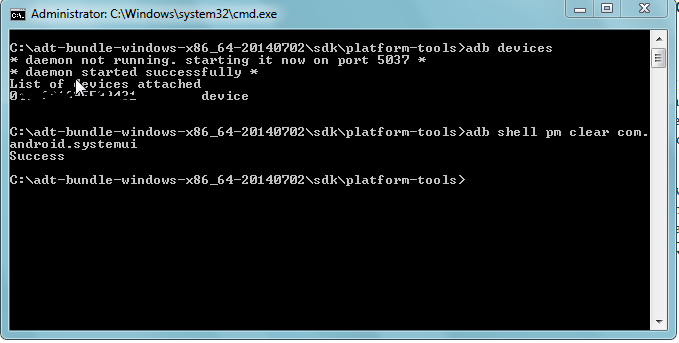 Step 1) Download “Fastboot Files” from here and extract it to “C:\ Drive“. Press and hold “Shift Key” and press “Mouse Right-Click”, sub-menu will opens-up and from there, choose the option “Open command window here“. Step 3) Connect your smartphone to your Computer with the help of USB cord. Step 4) In the command prompt, type the following command to make sure that your device is successfully detected. As you type the command, you’ll get a pop-up on your smartphone saying “The Computer’s RSA Key Fingerprint is?” and you need accept it (Give “OK”). Step 5) Now, type the following command in the command prompt to remove toggles from Quick Settings. You will receive a message saying “success”. Note: It will just change your Wallpaper to default factory image. Step 6) Finally, disconnect your smartphone and reboot it. That’s it! 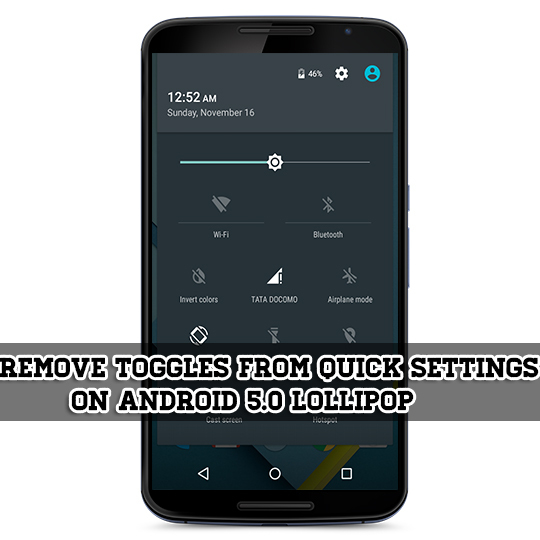 This is the simplest and easiest trick to remove toggles from Quick Settings on Android 5.0 Lollipop from Nexus smartphones.